Do you love chatting with strangers? For the rapid popularity of different chat apps, currently, you can find lots of chat apps. Several video chat apps for android get designed with exclusive features to add more flexibility and convenience. The video chat apps enable video chatting with strangers across the world. Omegle Video Chat is one of the quite popular apps across the world where people can meet anyone randomly online. 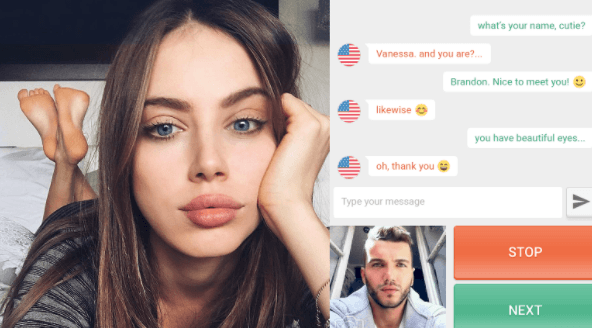 If you are searching for Omegle Video Chat App for Android phone, you would undoubtedly get depressed! Omegle doesn’t have an app for Android platform. If you are searching for the best Video Chat apps for Android handheld device, here are top 5 Omegle alternative apps you can try on your Android handset. Fruzo is the latest and hottest video chat app that connects people across the world through its amazing social networking platform. The app integrates excellent features with responsive design and is quite simple to use. You can use your mobile front camera to video chat in real-time. The app allows finding potential matches depending on your filter settings. With Fruzo, one can connect live with interested people. The filter settings help you to select people of your interest. Bridgestone International Group Inc released this app on September 18th, 2017. Download this app on your Android Phone and create a personal profile. Set the filters and start adding friends of your interest. Who knows, you could find your perfect match via video chatting! Camsurf is a random video chat app for Android devices that allows you to connect with strangers from all around the world. Camsurf aims to bring people from different countries closer on a single platform. It is a free video chat app where you can vide chat being anonymous. Users need not create a profile or log in to chat with strangers. You can quickly set the filters and find people from selected locations and the language you can interact. Camsurf is one of the fastest growing video chat apps with interesting and user-friendly features. Camsurf allows users from 200+ countries to get connected, and thousands of users are available online anytime. Set the filters, and the app will find matching strangers as per your specifications. Camsurf protects the personal information of the users thus creating a secure environment for the users. The users need to follow certain rules as set by Camsurf. If any user fails to follow the rules, the user will get restricted to use the app. 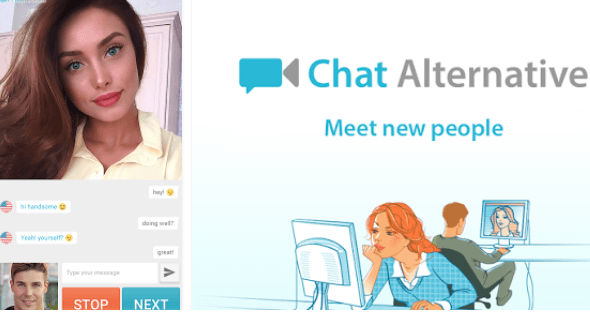 Chat Alternative is a worldwide video chat community that allows meeting strangers randomly. You can meet thousands of people from different parts of the world. Chat Alternative is a free app, and you can get it easily installed on your Android device. Set the filters and find new people randomly. Meet the strangers live and share anything you want. For its robust features, you can chat for long hours without any restrictions. Chat Alternative video app is secure and designed with robust features. Its fastest loading webcam feature makes it worldwide popular. The users need not wait to switch over to another online stranger. You can chat with strangers without revealing your identity. Remain anonymous, no need to create an account, simply open the app and start chatting online. You need not register in the social network app to use the integrated features. 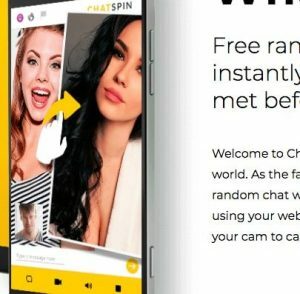 Chatspin is a video chat app with which you can meet strangers randomly. To use the video chat features of the app, you need not get registered or create a user profile. Simply download the app on your Android handheld device and open the app with a single click to start chatting with strangers from across the world. You can set the filters to get the list of people of your interest. You can get connected with nearby people or from different countries. Chat live with real people without disclosing your identity. You will get thousands of people live on the app anytime. Connect with new people without waiting. The app supports HD quality videos that lift up chat experience higher. The app integrates several user-friendly and robust features ensuring excellent video chat experience. If you are searching for the best cam-to-cam chat app, OmeTV is the best alternative for Omegle Video Chat. OmeTV is available in Google Play Store and offers the Android users the amazing opportunity to chat randomly with strangers from all across the world. If the user has a slow internet connection, or the video clarity is not good, you can continue text chatting with strangers of your interest. OmeTV is easy to use, and you need not pay any membership fees. You need not register or create the profile to use the features. Your identity remains anonymous, and you can get connected with thousands of strangers as per your preference. Set the filters and find an interesting person from the list of strangers. Using this app, the users remain safe and secure as moderators monitor the system an act fast on user’s complaints. If you love making friends and meet strangers to encompass your social network, Video Chat Apps are exclusively for persons like you. Apart from these top 5 Video Chat Apps listed above, there are many other apps available for Android devices on Google Play Store. FreeChatRoomsOnline With No Registration, you can enter and start chat without registration, 100% freechat, No download & no setup.